Synopsis: The game's afoot in this fast-paced Victorian mystery! It's a cold morning in 1897 when she awakens outside the British Museum, lying face down on the concrete pavement . She has no memories. She does not even know who she is, although she has a vague recollection of the name Sherlock Holmes. She thinks she may have just killed someone, and she knows someone wants to kill her. As she searches for clues to her true identity, she will learn that she is not the only target. Unless she can defeat her evil adversaries, the people most dear to her will die. 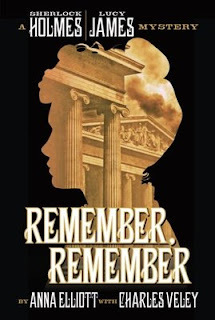 Source: This book was given to me by Historical Fiction Virtual Book Tours in exchange for an honest review. Synopsis: A young woman finds the most powerful love of her life when she gives birth at an institution for unwed mothers in 1883 Philadelphia. She is told she must give up her daughter to avoid lifelong poverty and shame. But she chooses to keep her. 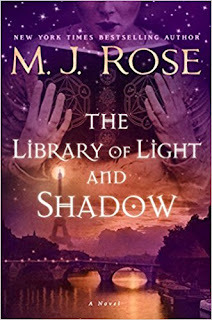 Synopsis: In this riveting and richly drawn novel from “one of the master storytellers of historical fiction” (New York Times bestselling author Beatriz Williams), a talented young artist flees New York for the South of France after one of her scandalous drawings reveals a dark secret—and triggers a terrible tragedy. 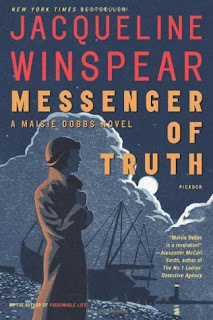 Synopsis: Maisie Dobbs investigates the mysterious death of a controversial artist—and World War I veteran—in the fourth entry in the bestselling series. 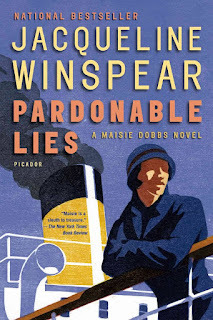 Synopsis: London 1930, psychologist investigator Maisie Dobbs must prove Sir Cedric's aviator son Ralph Lawton died when shot down in 1917. In former battlefields of France, she re-unites with Priscilla Evernden, one of whose three brothers lost in the War is somehow connected. The case tests Maisie's spiritual strength and her regard for mentor Maurice Blanche.